Home based craft businesses are enabling thousands of families to enjoy additional income. It has never been easier to start a craft business. But how do you sell your art or craft products in the age of Amazon? How do you use the Internet to find and serve high-quality customers? In Craft Business Power the founders of Liberty Jane Clothing share their journey to build a profitable online craft business. They've sold over a million dollars of products online and they outline a 15 day plan for launching a profitable craft business that is easy to follow, filled with practical advice, and proven to work. 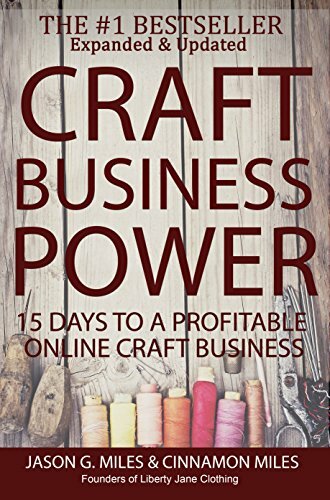 If you want to start or expand a craft business buy Craft Business Power today!